Vegetables are critical for energy during a workout. It is not always easy to get all those foods in your daily diet. Fortunately, you can use Kaged Muscle Pre-Kaged when finding a best pre-workout supplement that boosts energy levels while providing you with the vegetables you need. Pre-Kaged is effective thanks to many natural ingredients, but the most important point here is that the supplement gives you a mixture of powdered vegetables. The added nutrients and energy from those foods will provide you with an extra boost of power and focus you need to make the most out of a workout. When you look at the ingredients for Pre-Kaged, you will notice several food concentrates. These include apple, onion, garlic, oregano, elderberry, and mangosteen concentrates. These come from natural fruits, vegetables, and herbs to enhance the quality of nutrients in each scoop. More importantly, these concentrates provide you with healthy natural flavors that are easier to take in than artificial stimulants or sugars. The other ingredients found in Kaged Muscle Pre-Kaged include 274 mg of caffeine, which is equal to around two and a half cups of coffee, and 2 grams of taurine to prevent any caffeine-related effects. 1.85 grams of tyrosine are added to improve upon your body’s focus in a workout. The balance of caffeine and taurine ensure that you won’t experience that mid-day crash that so many other caffeine-laden supplements produce. The Pro-Pump complex includes 6.5 grams citrulline and 200 mg quercetin. Both ingredients enhance your body’s capability to stay active and to prevent fatigue. Quercetin acts as an antioxidant that prevents muscle oxidation. Citrulline improves upon blood flow to keep your body from feeling prematurely worn during the workout. A 3.5-gram blend called the Muscle Fuel Matrix is provided to build upon your energy stores. The matrix features all three of the essential branched-chain amino acids, leucine, isoleucine, and valine. The BCAAs reduce muscle soreness and fatigue while preventing muscle wasting. BCAAs may also assist in restoring the lriver’s natural functions, thus enhancing how well your muscles can process their contents. A 5.1-gram Strength and Power Matrix adds betaine, beta-alanine, and creatine to build muscle mass. 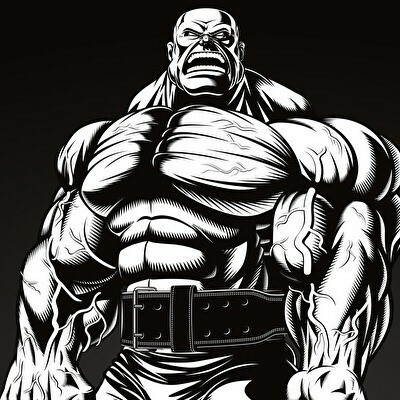 Betaine and creatine will enhance your overall power input during your workout. Beta-alanine improves upon the endurance levels within your body. The most intriguing part of these ingredients is that Kaged has enough citrulline, taurine, and beta-alanine for your workouts. Far too many competing supplements do not provide you with enough of these features. But Pre-Kaged recognizes their value and gives you the help you demand. Citrulline will enhance your blood flow to keep you active. Taurine will also reduce the stresses that caffeine may produce within your body. As mentioned just now, beta-alanine is critical for keeping your muscles from wearing out. 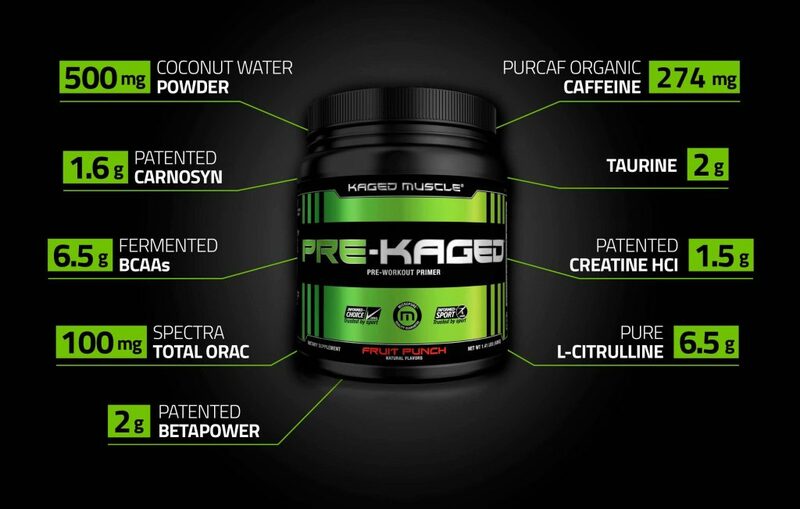 The hydrating features of Pre-Kaged include 500 mg of coconut water powder and 100 mg of the SPECTRA ORAC blend. The SPECTRA ingredient is a combination of various powdered vegetables including spinach, broccoli, oregano, carrot, onion, and other herbs. The healthy fiber and antioxidants in all of these vegetables ensures that your body will stay healthy. Each serving of Pre-Kaged includes 15 calories and 1 gram of sugar. 25 mg of vitamin B6 and 500 mcg of vitamin B12 are vital factors. Vitamin B6 assists you in retaining your muscle mass during your workout. B6 also helps the body with processing carbs and protein within your diet. B12 improves upon how red blood cells are formed within the body, thus increasing the body’s natural energy stores. 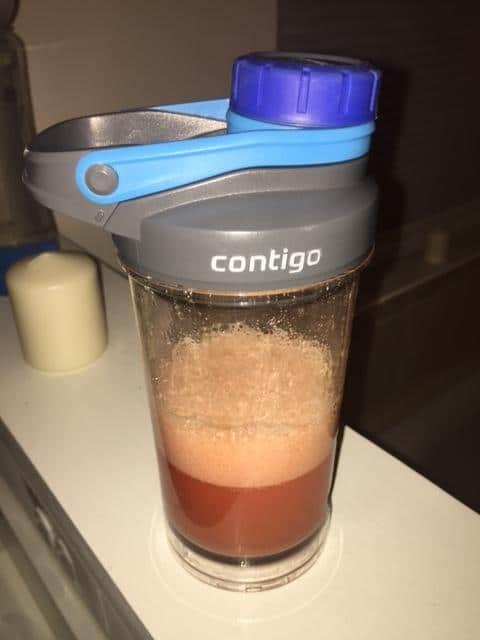 To use Pre-Kaged add one scoop of the supplement into a drink and then consume as usual. Take in your scoop about 15 to 20 minutes before your workout starts. 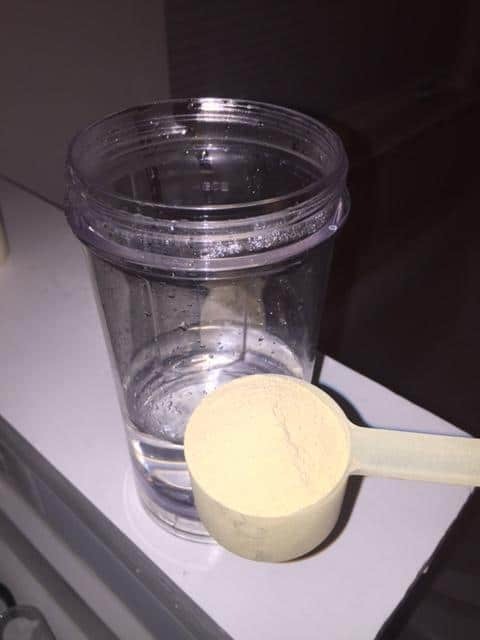 You can use half a scoop at the start if you need help with getting used to the supplement. But the ratio of ingredients utilized makes it easy for your body to tolerate. It should not be hard to move on to a standard serving after a while. Does It Go Down Well? Pre-Kaged should be easy for your body to tolerate, especially since this pre-workout supplement doesn’t contain intensely unhealthy artificial ingredients. You can even find this in a few different flavors, although the Krisp Apple flavor is the most popular. For the best results, mix three cups of water with a serving of Pre-Kaged. The flavor might be too intense if you don’t have enough water to dilute it. Don’t forget to stir evenly like you would with anything else. Pre-Kaged is available for $37.99 with about 20 servings included. You should expect to spend about $1.80 per serving. This may be too costly for some people. 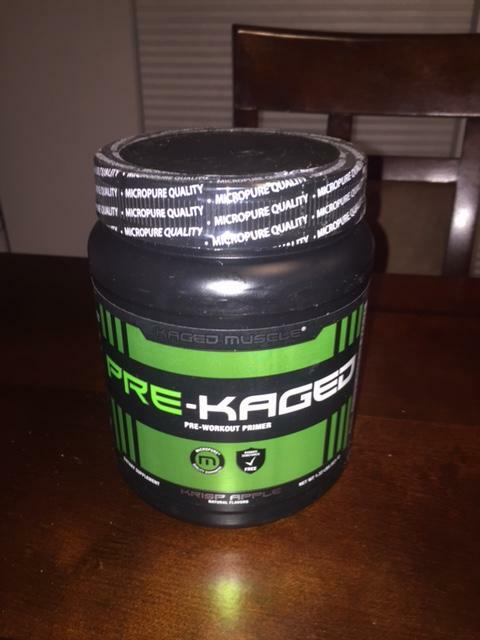 Kaged Muscle Pre-Kaged will help you stay active and ready to take on anything. The helpful ingredients featured in this supplement get your body ready for anything. The added greens make for a real surprise. Try this out when looking for a choice that keeps your body healthy.